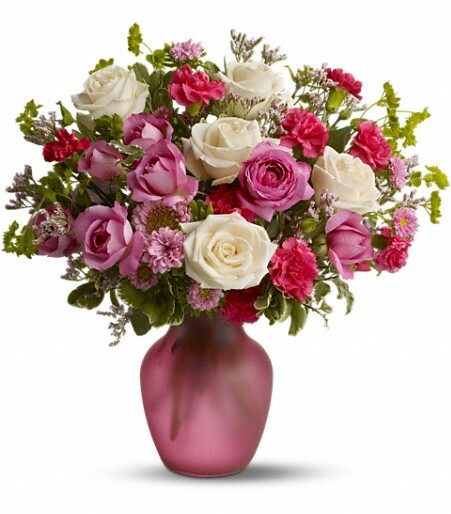 It’s like sunshine and moonlight in are gloriously happy gift! 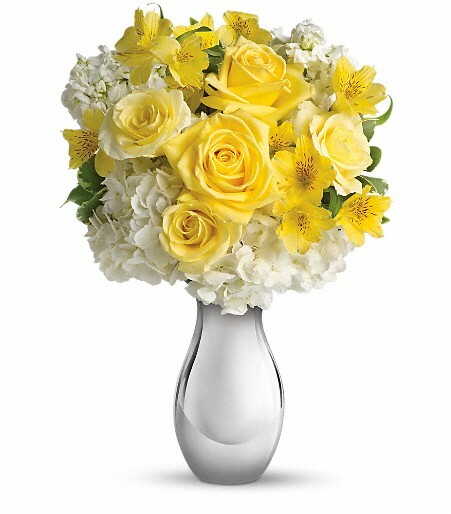 Soft yellow roses, white hydrangea and other favorites showcased in a dazzling Silver Reflections vase. 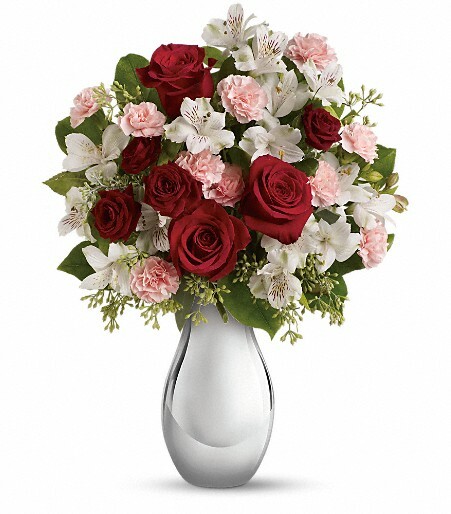 She’ll love it – and so will her envious friends. 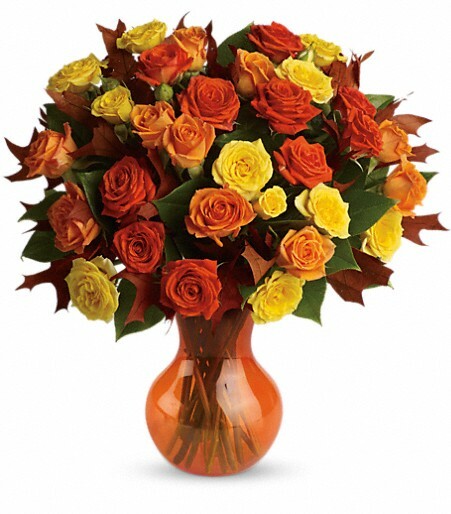 The sunny bouquet includes white hydrangea, light yellow roses, yellow alstroemeria and white stock accented with fresh greenery.Delivered in Teleflora’s exclusive Silver Reflections vase.